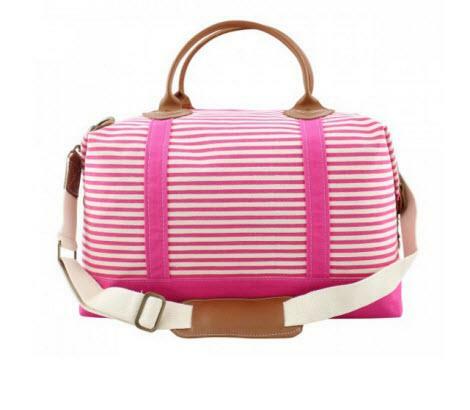 This large accommodating monogrammed hot pink stripes weekender bag is perfect for heading off to college, visiting friends out of town, heading on vacation or going for that weekend getaway! 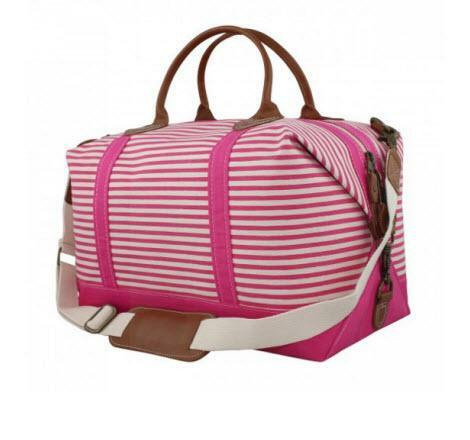 Make this your go to luggage piece when heading off to the mountains or an overnight trip. 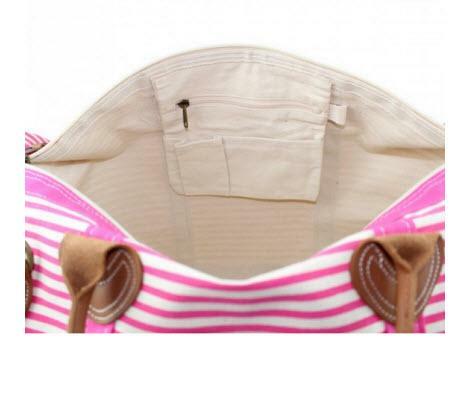 It features a large inside zipper pocket with two attached open pockets to help keep everything organized, also has a detachable and adjustable shoulder strap with leather padding, zipper top closure and made with heavy durable canvas designed to hold its shape. Personalize your weekender with your choice of font, favorite color thread and monogram it with your initials.Perfect to add to your luggage collection and great for anyone as a gift!